I’m back with my third instalment of my Everyday Disney series and I hope you’ve enjoyed my posts so far! If you haven’t already read the previous posts then be sure to go back and catch up! 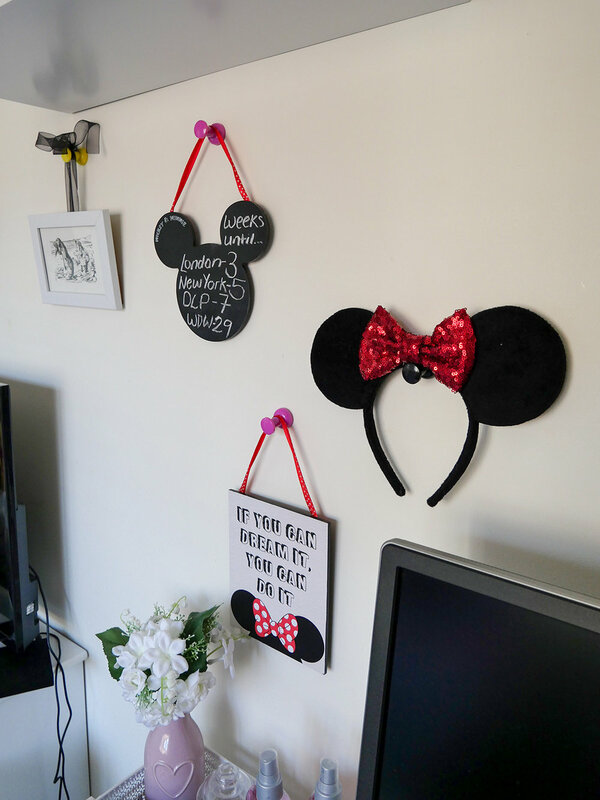 This week I am going to share the Disney pieces I have around my room incase it gives you some ideas for Disney pieces you could have in your home. 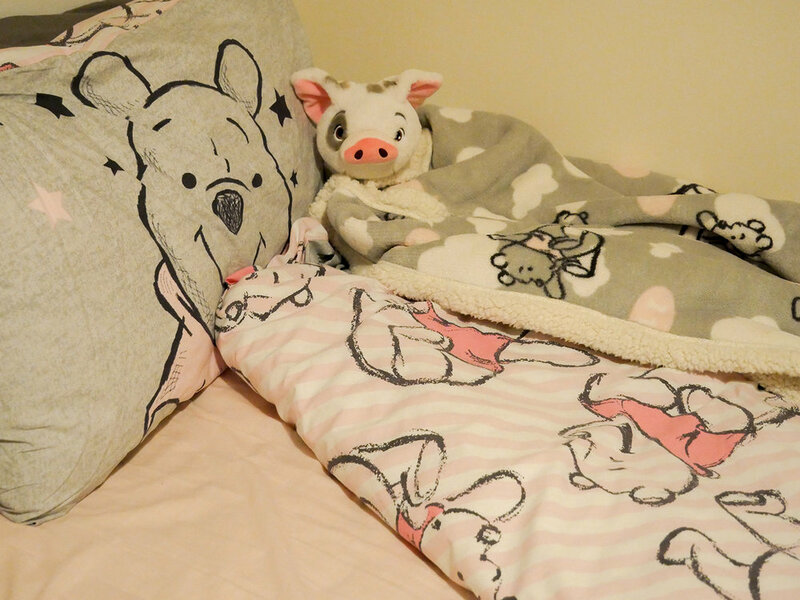 Whilst Disney bedding might not be for everyone there are definitely some lovely options out there. 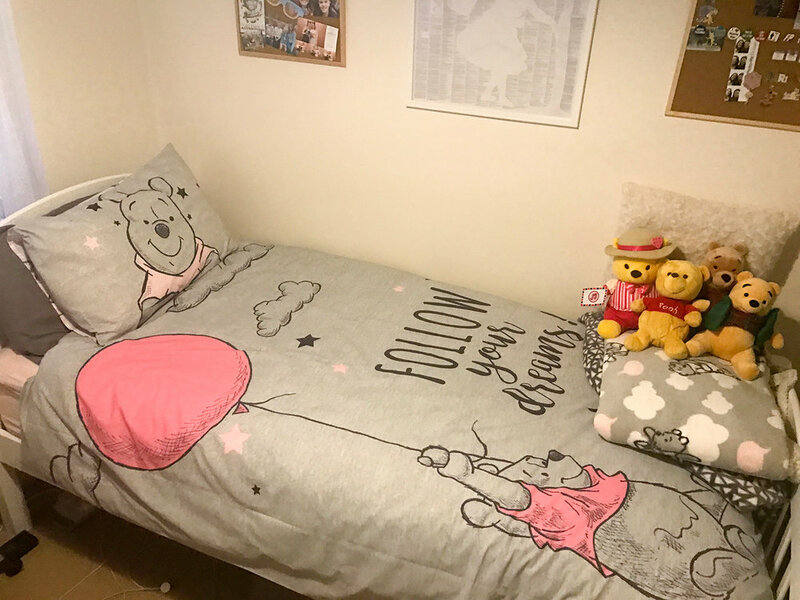 Recently I bought a Winnie the Pooh bedding from Primark. I have included some photos that I posted to my Instagram below. The bedding matched my existing room decor and being Winnie the Pooh it was meant to be. Primark have a few different Disney homeware collections at the moment. One of which is the Winnie the Pooh collection that my bedding is from. There is also a Jungle Book collection and a new Bambi collection is making its way in stores. Hopefully Primark continue to bring out Disney homeware collections as the current ones are amazing! The Disney Store also has a good collection of duvet sets available which will appeal to a range of ages and tastes. The new Minnie Mouse set has to be my favourite and comes in both a Single and Double. 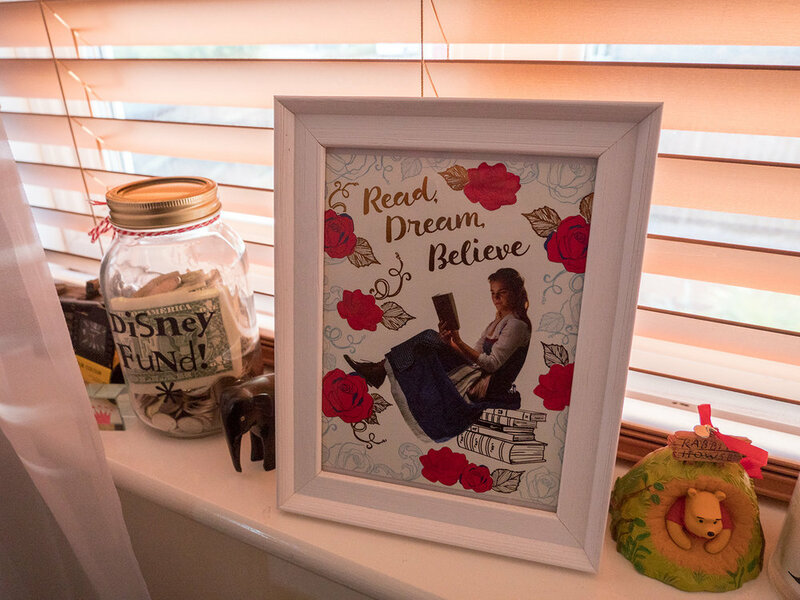 One of my favourite pieces in my room has to be my ‘book on a page’ poster I have on my wall. 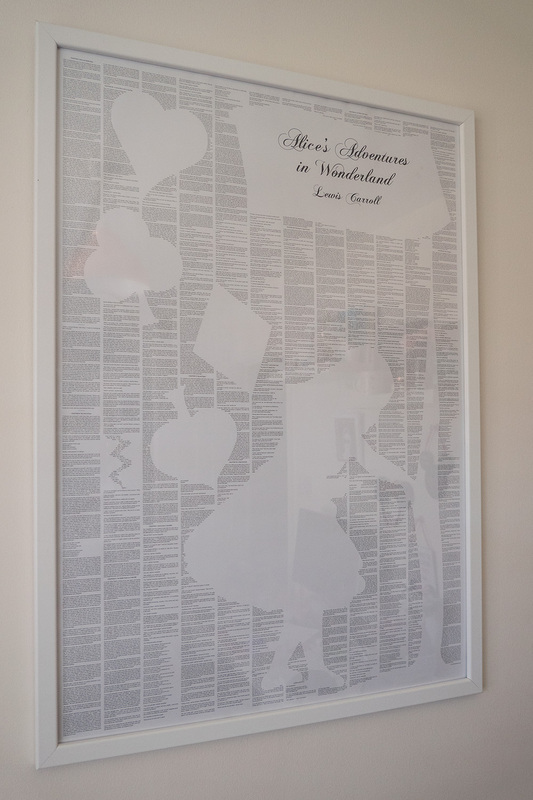 I have the Alice in Wonderland poster and absolutely love it. Similar posters are available from a variety of places including Not On The High Street. 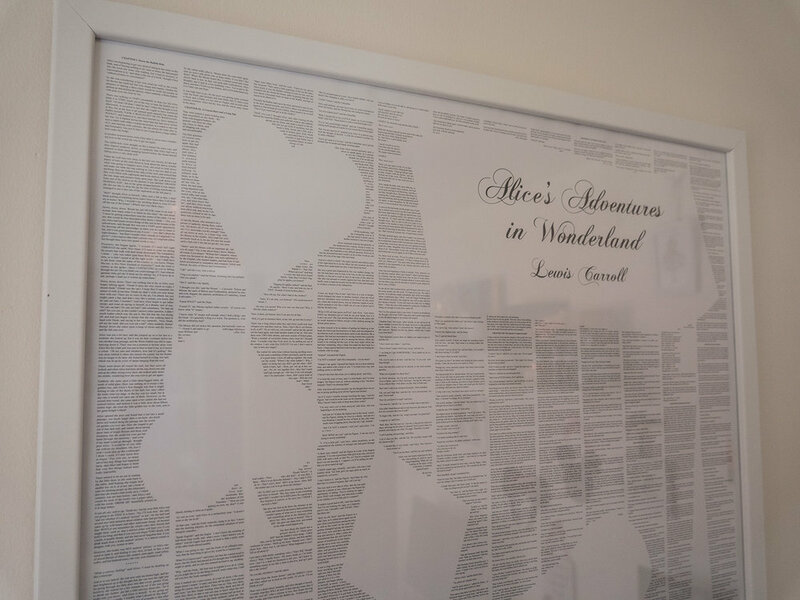 Not On The High Street have a variety of ‘books on a page’ including Alice and Wonderland and Peter Pan. They are a great piece and I know I’ll keep mine forever. 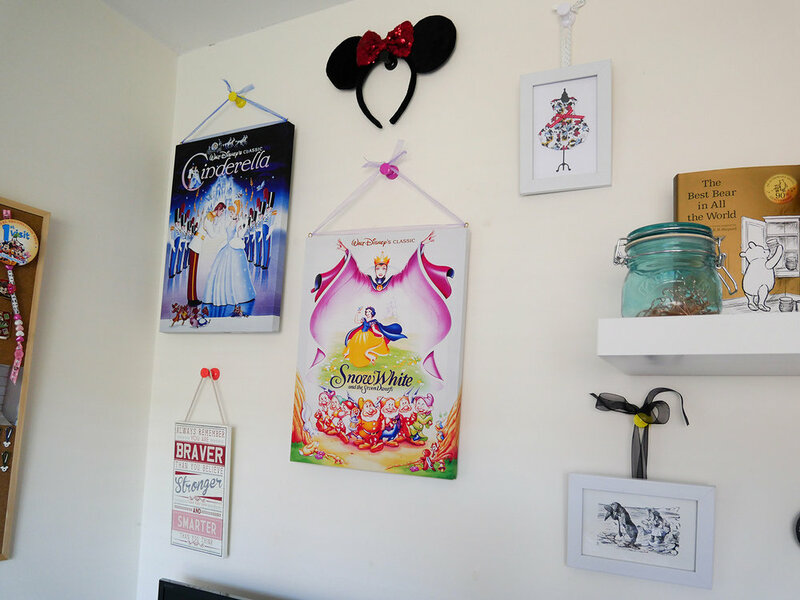 As well as my Alice in wonderland poster, I also have a ‘gallery’ style wall featuring a variety of Disney pieces. I had been collecting the pieces for a while and I’m really pleased with how it turned out. I have numbered each item on the first image in the gallery below so that I can share where all the pieces are from. I used ribbon to hang each piece onto a oversized pin from Tiger. 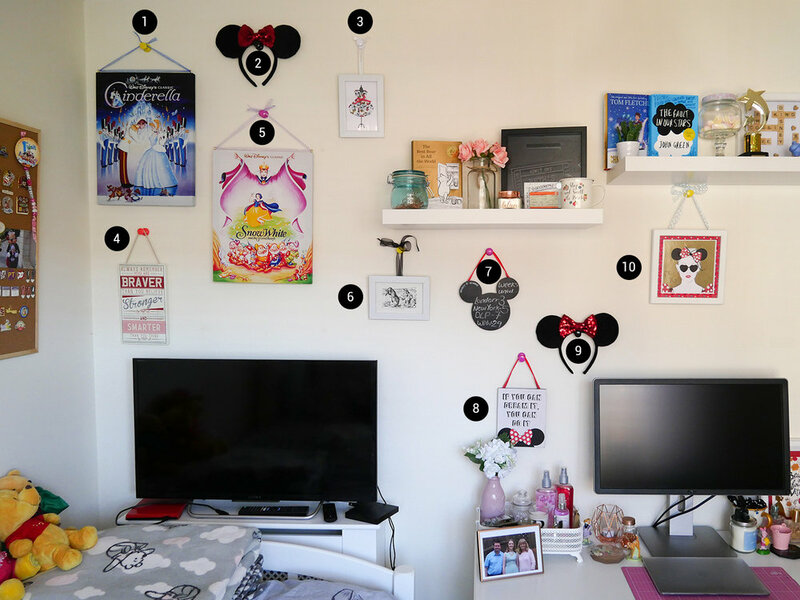 A lot of my Disney merchandise is displayed around my room and quite a few of the pieces are displayed on my BRIMNES Bookcase from Ikea. The bookcase has four shelves and two drawers. 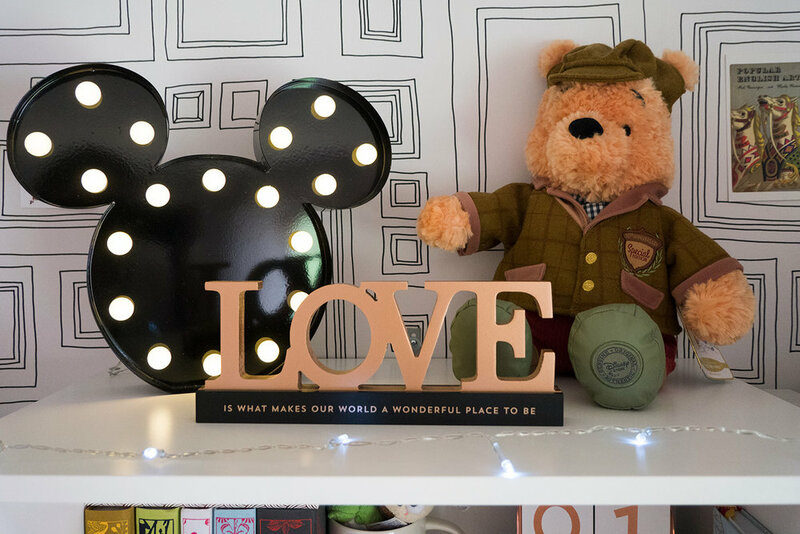 On the top of the bookcase I have my Mickey Mouse Light from Primark – £12. 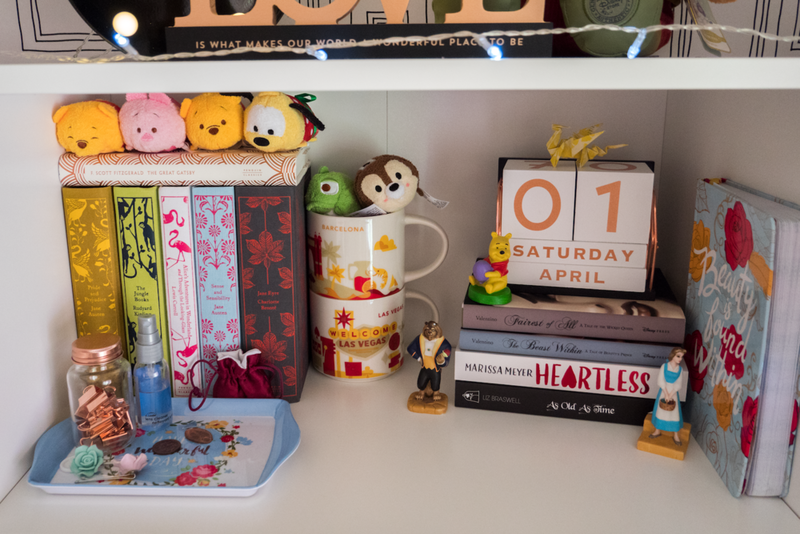 I also have my Limited Edition Winnie the Pooh from the Disney Store which I have previously blogged out here. I also have a love sign from the Card Factory. On the top shelf I have my clothbound books including Alice in Wonderland and the Jungle Book. I also have my tsums tsums on top of the books. I have some Disney inspired books to the right and a few Disney ornaments. 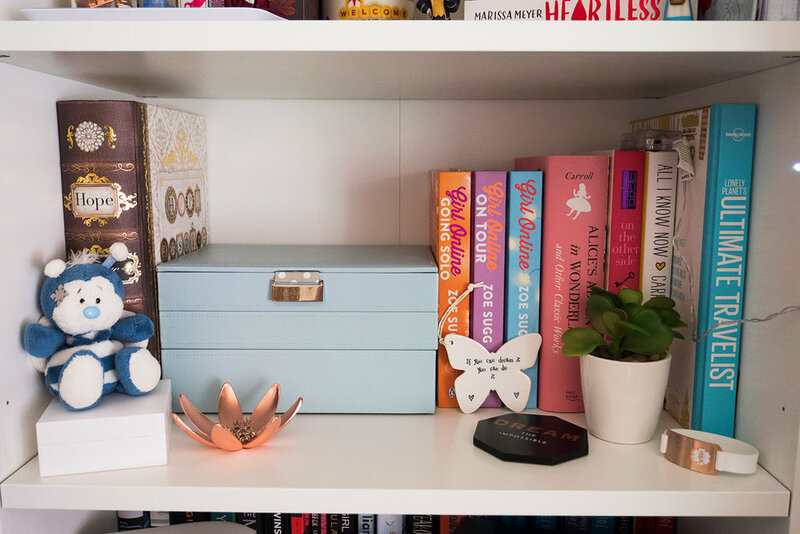 There isn’t much Disney magic on my second shelf but I love my little butterfly with a Disney quote and I also have a beautiful edition of Alice in Wonderland amongst the other books on this shelf. 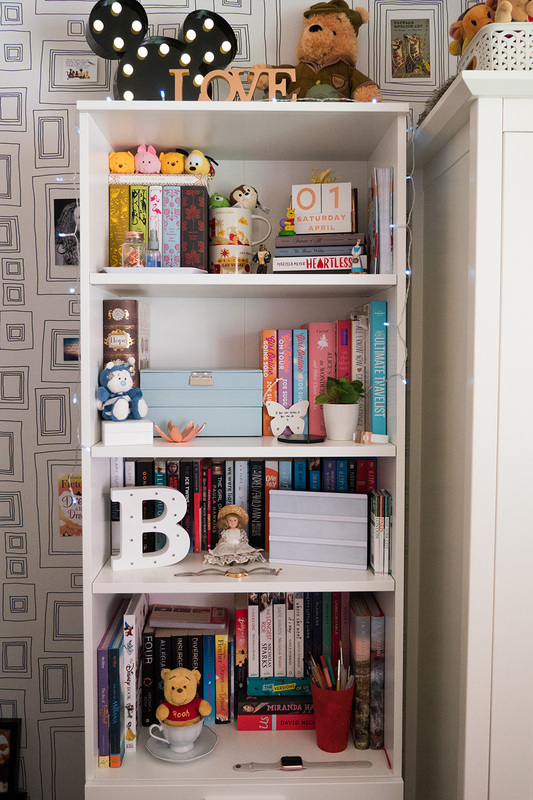 The bottom shelf is home to my beautiful Art of Tangled and Art of Moana books as well as my ‘The Disney Book’. 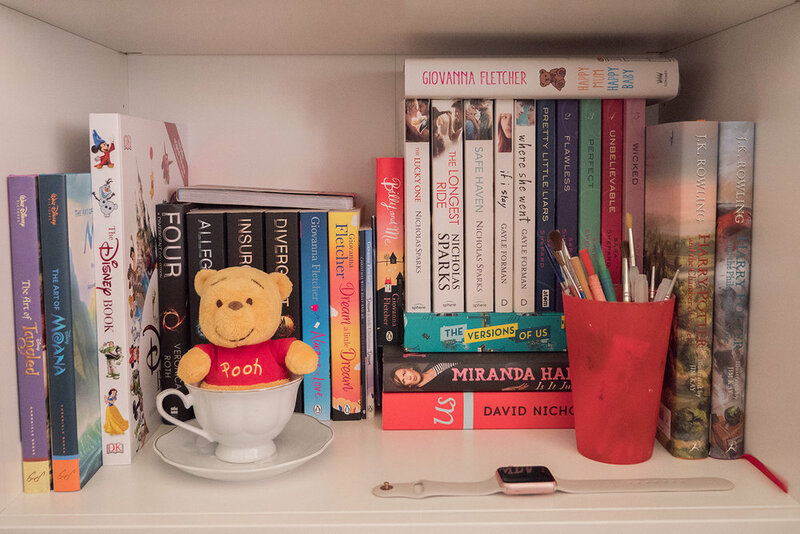 My little Winnie the Pooh sits in a white teacup which proved popular on Instagram! There are a few extra bits and pieces around my room that are Disney if that wasn’t already enough. 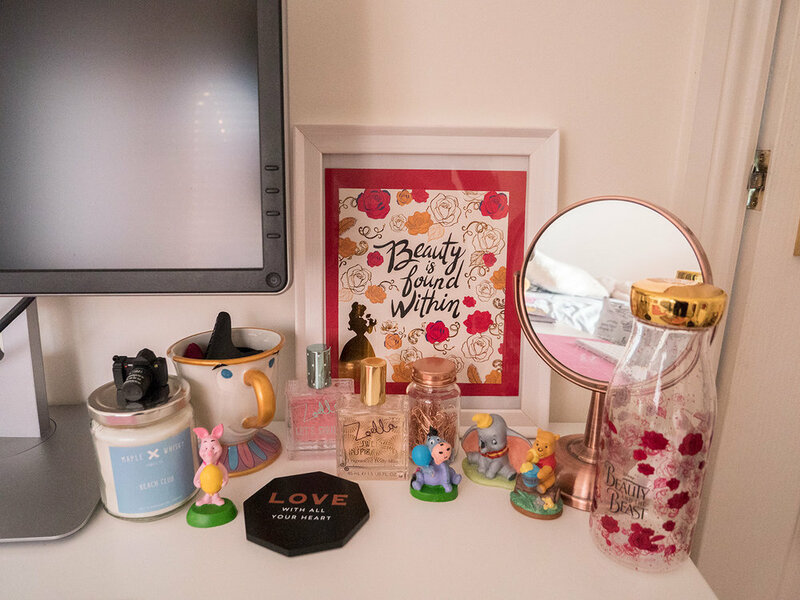 I loved the collection that Clintons released inspired by the new Beauty and the Beast film, I have a haul and film review already posted if you’d like to give them a read. I decided to frame two of the cards from the collection. The first card I framed and placed on my window ledge next to my Disney fund jar. The other card I backed onto red card and then placed in a frame. I placed the frame on my desk along with my Chip mug and a few other items. My lamp from Wilkos adds a touch of Disney inspiration. I love the stacked tea cup look. 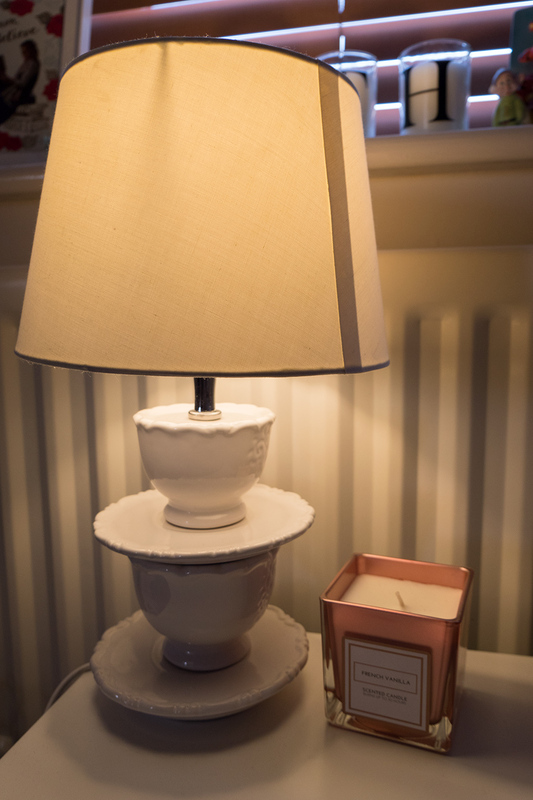 I’m sure you could try a DIY similar but I love this lamp and it’s a great piece in my room. 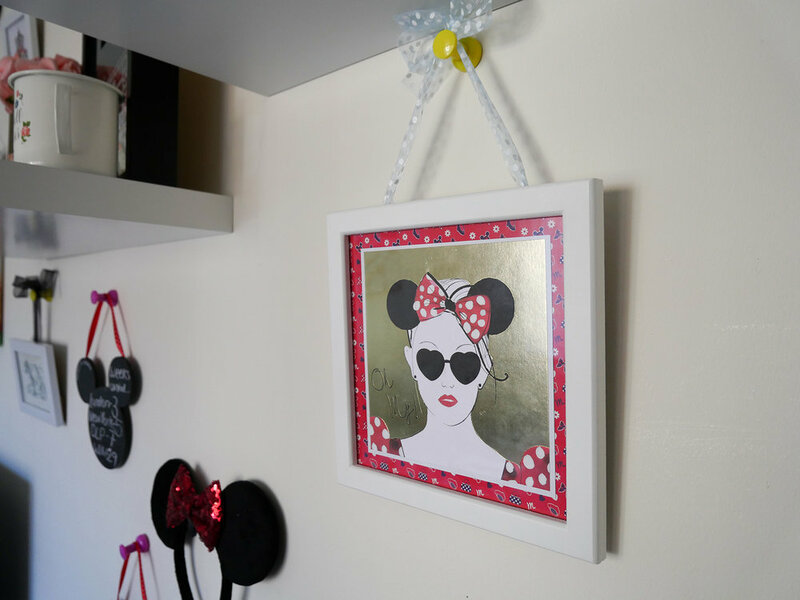 Hope you enjoyed having a look at my Disney homeware pieces for this weeks Everyday Disney post.